Devi (Chennai, India) on 24 September 2014 in Animal & Insect and Portfolio. Wow, so many of them! @ursulakatariina: ha ha ha Ursula..Dab some talcum powder !!! Disgusting ants, I went to the skin goosebumps, when I looked at the picture!:-))))))))))Haleja. Happy Wednesday,my good friend Devi! @Oiva: Yes Oiva..but not as disgusting as spiders!!! @Dimitrios: Yes...wonder how these tiny brains achieve so much!!! So interesting to see all of those spiders together. @Julie L. Brown, Photobirder: Eeeeeeeeeeeeeeeeeeek !! No spiders Jule ..these are ants!! I am allergic to spiders!!! Still busy at it. They are clever. @beach: Yes..bust always..Wonder when they sleep! I like your name for this amazing development overnight. A fine shot. Ewwwwww, don't get too close! @Judy aka L@dybug: I didn't !! i dare not !!! Busy as a beaver - sorry ant. Very nice. 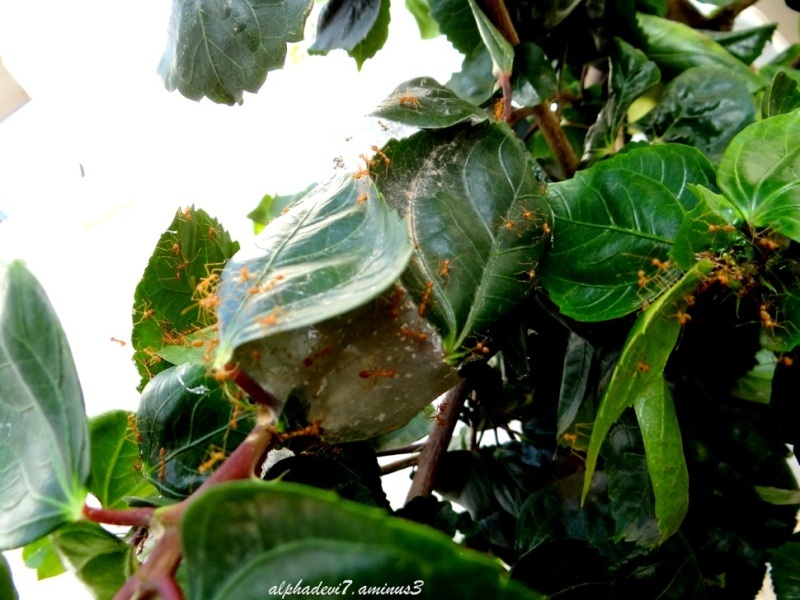 A great capture of these ever busy ants. And an interesting story. Amazing nature ... space for all living beings and balanced co existence !!! @Sam: Thank you Sam :)What a profound statement you have made!!! Nice capture! Wonderful close up!